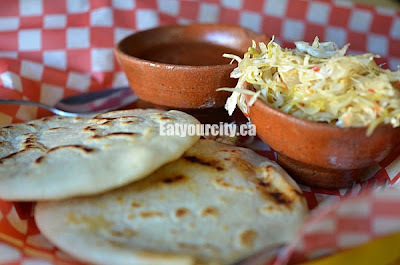 Eat Your City: El Rancho Spanish Restaurant Edmonton, AB- back for tasty El Salvadoran dinner! 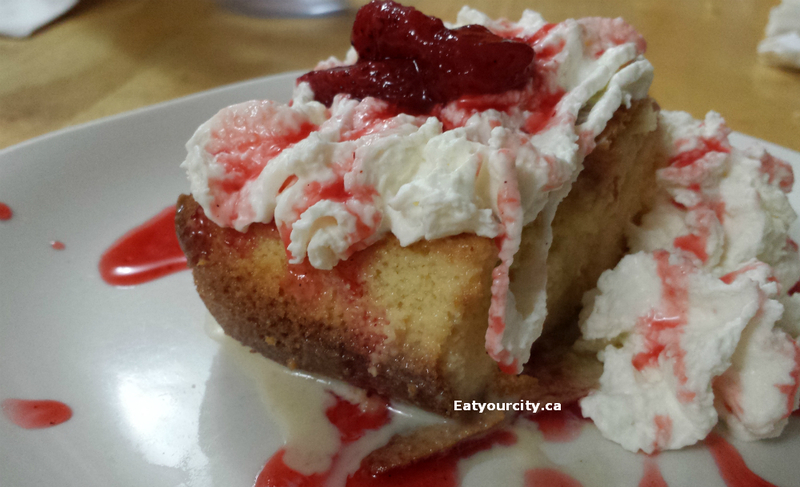 El Rancho Spanish Restaurant Edmonton, AB- back for tasty El Salvadoran dinner! After the wedding, we ate out a lot as We had lots of family from out of town staying for a visit, so one night, We popped by El Rancho El Salvadorian to have some tasty fare! 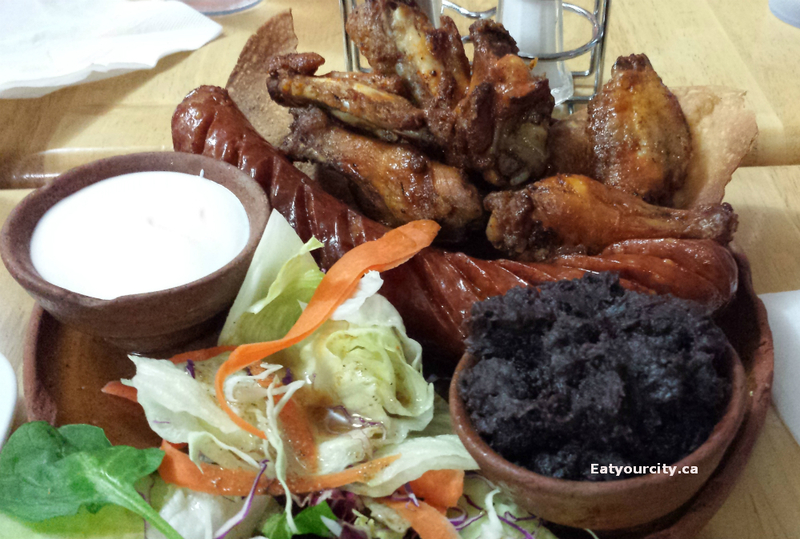 We shared the grilled chorizo ​​with Picapica Ranchero wings served with refried beans, chorizo, sour cream, fresh veges and toastados. The wings packed a good punch of spicy without being overwhelming spicy - and the sour creme was handy to use to cool burning mouths. The chorizo ​​was nicely juicy and disappeared quickly. Mom loved the refried beans that looked a lot like the housemade mole. The quesadilla with chicken, mozza, El Rancho salad, sour cream and salsa was simply made ​​and quickly devoured. 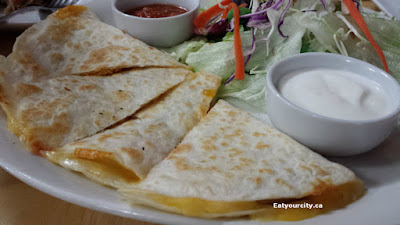 Nice and crispy on the outside, melted cheese and seasoned tender chicken breast on the inside. 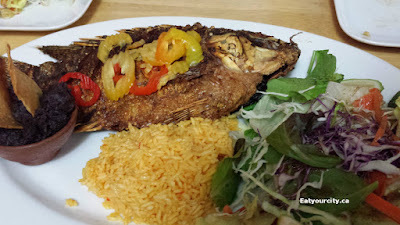 The whole familia loved Pescado Frito - fried tilapia with rice and salad El Rancho. We were going to get 2 orders of this delectable fried fish, but they had a extra large fish so we paid a bit extra for it ... and wow it was huge - I should have put a utensil beside it for perspective - it was on a massive platter and took up nearly half of it. Fried to a crisp on the exterior, the fish was perfectly cooked on the inside - super tender and moist, it was a lovely contrast to the crisp skin that had a bit of tangy seasoning on it. We were tempted to order another delectable fish after having this one! We were sooo full, only a few of us stepped up to the plate and shared dessert - first up was the Tres Leches. It was a fluffy cake made ​​with three types of milk, topped with strawberries and whipped cream .. mmmm! 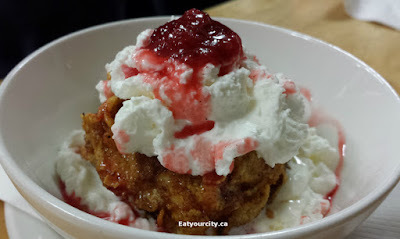 We shared the Mexican fried icecream as well - think cinnamon toast crunch crushed enrobing a ball of icecream, then deep fried and topped with strawberries and whipped cream .. mmmm! 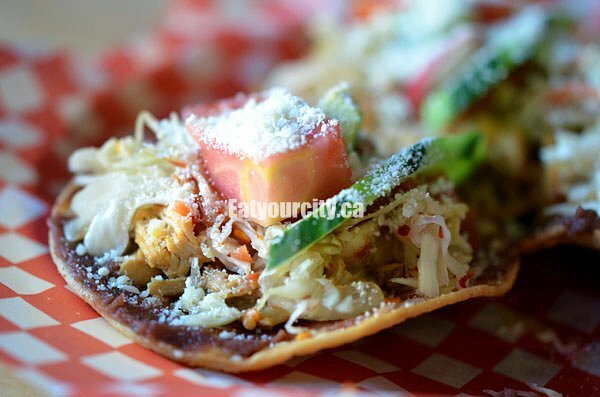 We rolled out the door stuffed full of tasty El Salvadorian fare with full tummies and sleepy full smiles!